We recommend checking out our discussion threads on the Samsung Galaxy S6 Edge SM-G925F 32GB Smartphone G925F-32GB-BLACK, which address similar problems with connecting and setting up Unlocked Cell Phones Samsung. 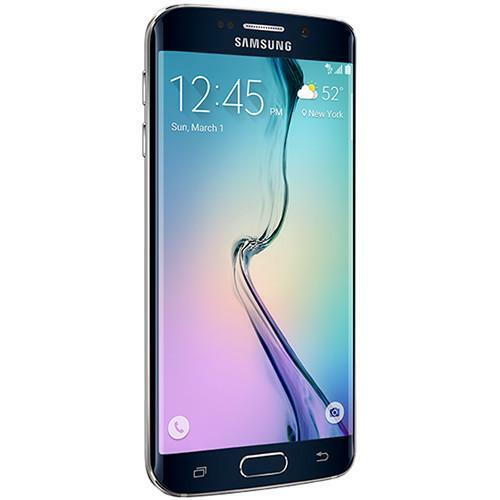 The user manual for the Samsung Galaxy S6 Edge SM-G925F 32GB Smartphone G925F-32GB-BLACK provides necessary instructions for the proper use of the product Mobile - Unlocked Cell Phones. The black sapphire Samsung Galaxy S6 Edge SM-G925F 32GB Smartphone offers enhanced screen functionality, powerful performance, and high-quality optics in a sleek, modern design. This smartphone incorporates 32GB of storage, 3GB of RAM, and is powered by the 64-bit Samsung Exynos 7420 chipset. This chipset consists of 1.5 GHz ARM Cortex-A53 and 2.1 GHz ARM Cortex-A57 quad-core CPUs for robust processing and multi-tasking. This high-performance architecture allows you to fluidly navigate the Android Lollipop operating system. The Samsung Galaxy S6 Edge features an impressive dual edge 5.1" Super AMOLED screen, which is designed to produce bright images with robust color reproduction while giving you easy access to device notifications. The screen's detailed QHD 2560 x 1440 resolution enables vivid and detailed high-definition content. For photo capturing and video chatting, this smartphone features a f/1.9 5-megapixel front camera and a f/1.9 16-megapixel rear camera. Optical image stabilization is onboard for shooting stability, and there's even an LED flash for taking pictures in low-light situations. On the video side, the rear camera allows you to capture detailed video at 4K resolution. 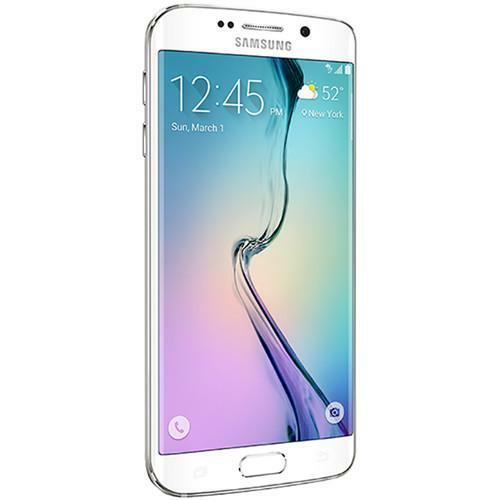 The Samsung Galaxy S6 Edge has Bluetooth 4.1 built-in for pairing with other Bluetooth-enabled devices, and dual-band 802.11ac Wi-Fi for high-speed Internet connectivity. Integrated Wi-Fi Direct and NFC give you the ability to connect-to compatible devices for wirelessly sharing content like photos and music. The Samsung Galaxy 6 Edge is equipped with a non-removable 2600mAh battery that's designed to delivers hours of enjoyment before charging is needed. If you own a Samsung unlocked cell phones and have a user manual in electronic form, you can upload it to this website using the link on the right side of the screen. Box Dimensions (LxWxH) 6.0 x 3.3 x 2.0"
The user manual for the Samsung Galaxy S6 Edge SM-G925F 32GB Smartphone G925F-32GB-BLACK can be downloaded in .pdf format if it did not come with your new unlocked cell phones, although the seller is required to supply one. It is also quite common that customers throw out the user manual with the box, or put the CD away somewhere and then can’t find it. 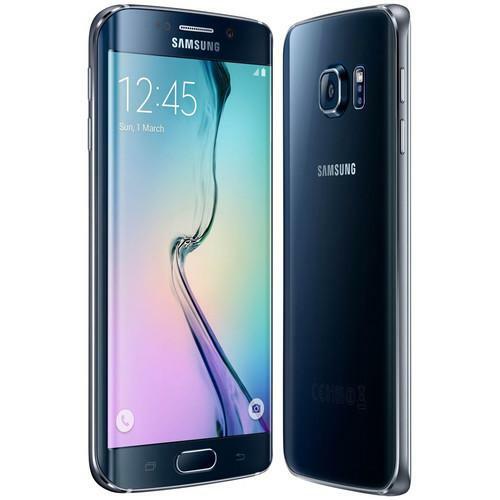 That’s why we and other Samsung users keep a unique electronic library for Samsung unlocked cell phoness, where you can use our link to download the user manual for the Samsung Galaxy S6 Edge SM-G925F 32GB Smartphone G925F-32GB-BLACK. 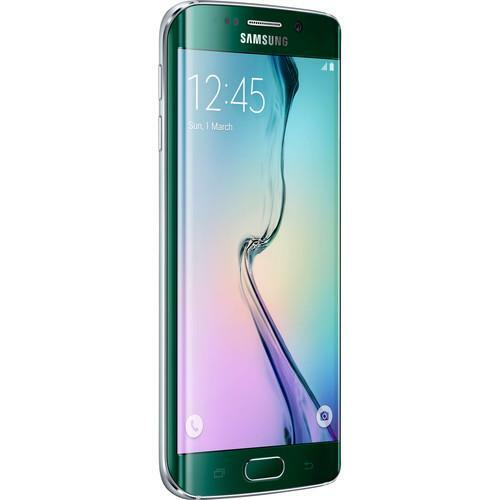 The user manual lists all of the functions of the Samsung Galaxy S6 Edge SM-G925F 32GB Smartphone G925F-32GB-BLACK, all the basic and advanced features and tells you how to use the unlocked cell phones. The manual also provides troubleshooting for common problems. Even greater detail is provided by the service manual, which is not typically shipped with the product, but which can often be downloaded from Samsung service. If you want to help expand our database, you can upload a link to this website to download a user manual or service manual, ideally in .pdf format. These pages are created by you – users of the Samsung Galaxy S6 Edge SM-G925F 32GB Smartphone G925F-32GB-BLACK. User manuals are also available on the Samsung website under Mobile - Unlocked Cell Phones.